Ivanka Trump revealed on the Dr. Oz show that she had postpartum depression after the birth of each of her three children. Learn the true cause of postpartum depression so you can get the right treatment. Last month, Hayden Panettiere, an actress currently on the hit show “Nashville,” revealed that she is getting treatment for postpartum depression after the birth of her daughter earlier this year.To be sure that women are getting the right type of help, you must understand what causes postpartum depression so that it can be treated properly, safely and most effectively. 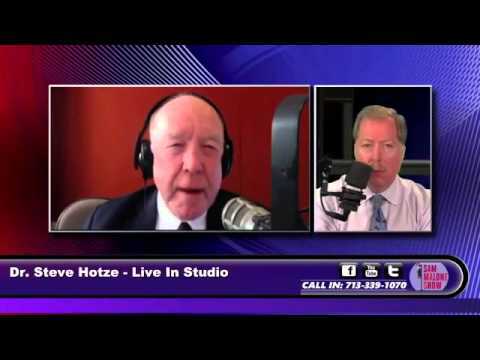 Dr. Hotze appeared on the Sam Malone show to reveal the cause of postpartum depression. Recently, actress Hayden Panettiere revealed that she sought treatment for her postpartum depression. Dr. Hotze reveals the underlying cause of this drop in moods so that new mom's know how to prevent this from happening, naturally.